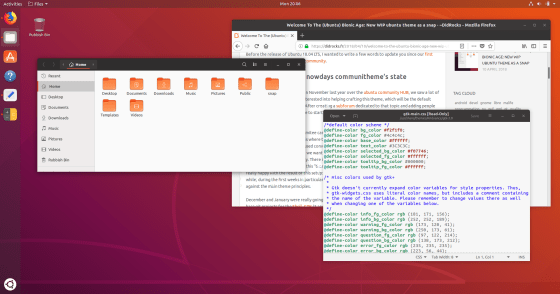 The Bionic Beaver, Ubuntu 18.04 LTS is here! 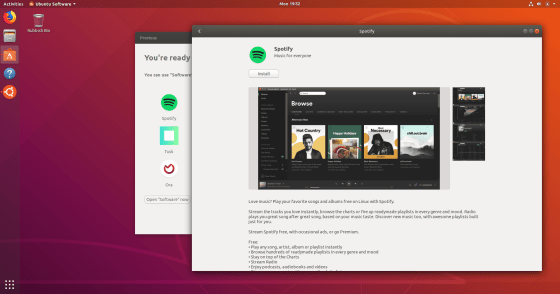 It’s been a busy six months for the desktop team, and indeed for everyone working on Ubuntu. We’ve been working on making sure that your upgrade from previous releases is smooth and trouble free, tracking down bugs to make 18.04 LTS stable and reliable, and adding some new features which I’d like to introduce you to and quickly run through how they work. 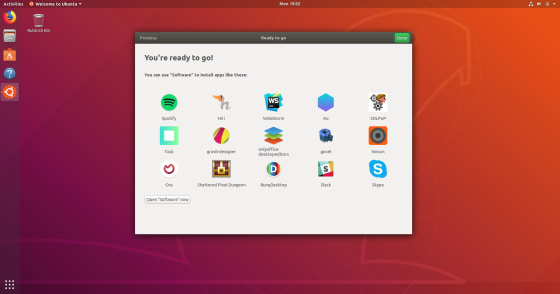 A minimal install is ideal for people who want to have more control over the applications which are pre-installed on their Ubuntu machine and don’t want things like games. You can find the full list of packages which are removed as part of the minimal install here and you can always install them later if you need them. 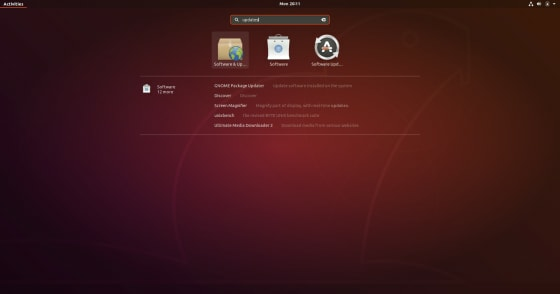 Using a modified GNOME Initial Setup you are taken through setting up LivePatch, making a choice about sharing some system information to help improve Ubuntu, and are introduced to some apps which you might like to install now that your system is up and running. GNOME Initial Setup was chosen for this job as we will be exploring how to integrate more features of the tool during the 18.10 cycle. 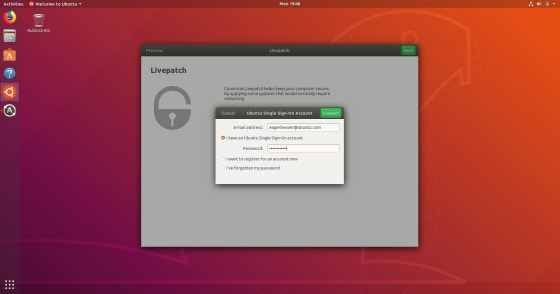 The Canonical Livepatch Service lets you apply critical kernel security fixes without rebooting and reduces planned or unplanned downtime while maintaining security. 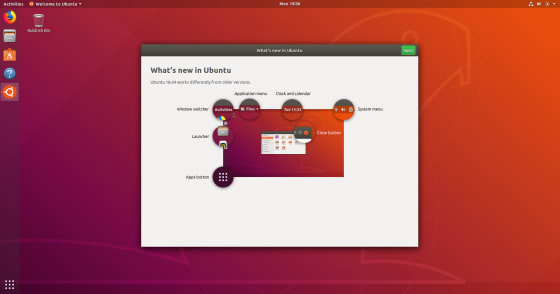 It’s available as part of an Ubuntu Advantage subscription, or for all Ubuntu community members it’s free for up to three machines. 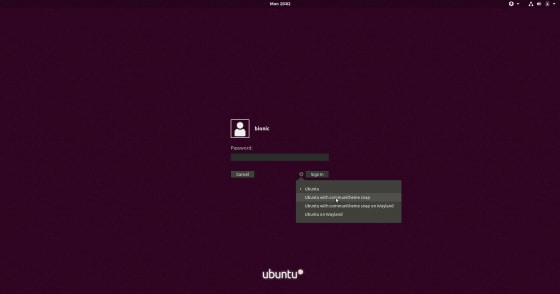 You’ll need to have an Ubuntu One account in order to use this service. 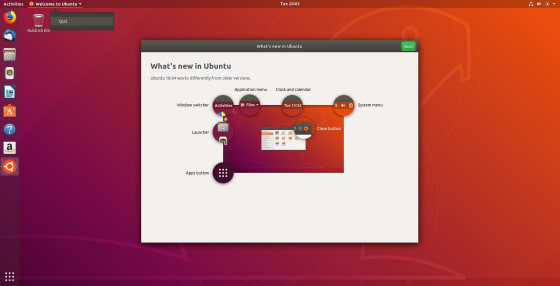 You can either set one up now or the Ubuntu Welcome tool can help you get started. In the example below I’ll assume you don’t already have an account registered. If you already have an account enter your credentials here, if not click “I want to register for an account now” and click Connect. 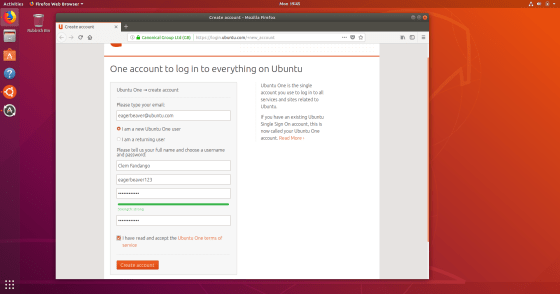 You’ll be taken to the Ubuntu One website to set up your new account. Fill out the relevant fields. You’ll need a valid email address in order to confirm and activate the account. You should see that the service is running. 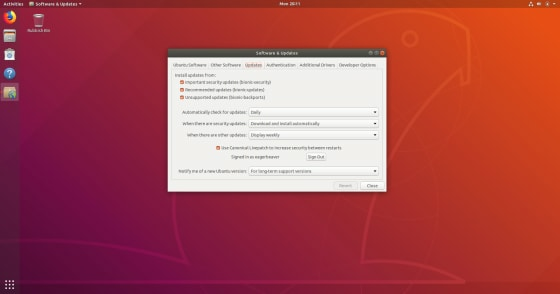 By reporting some technical specs on your computer you can help us to better understand the types of hardware Ubuntu users have; for example how much disk storage you have configured, how much RAM, what sort of processor(s) you have etc. This information is anonymous and contains no tracking information. This information is a one-shot send and will not monitor your hardware for changes. You can see exactly what is in the report by clicking the “Show the First Report” button. If you would prefer not to share this information check the “No, don’t send system information”. New snaps are being added to the store all the time, and you can already download essentials like Spotify, Skype and Slack. 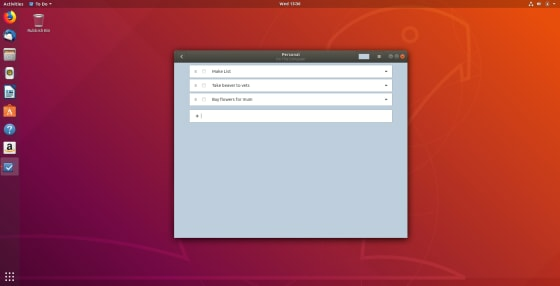 You can browse the full range of applications via GNOME Software (click the Open “Software” now button) or access the highlights directly by clicking on their icon. 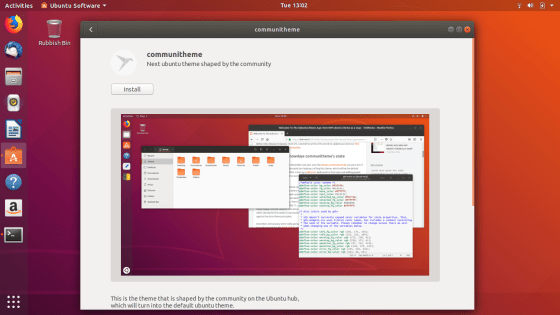 Communitheme (working title) is a new theme for the desktop which is being developed and driven by the community. 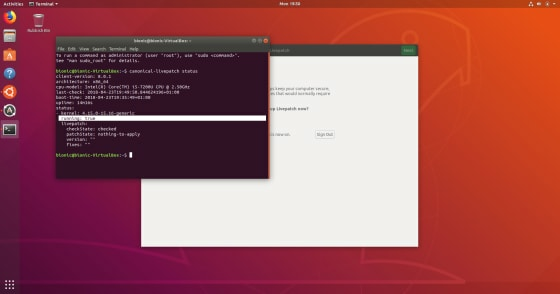 You can try it out in 18.04 LTS by installing the snap and then rebooting your computer. The snap will be updated automatically with each new build, so you’ll be at the bleeding edge of theme development. 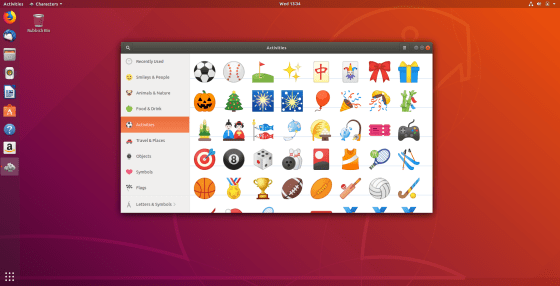 If you want to change back to the normal theme simply choose Ubuntu from the greeter next time you log in. 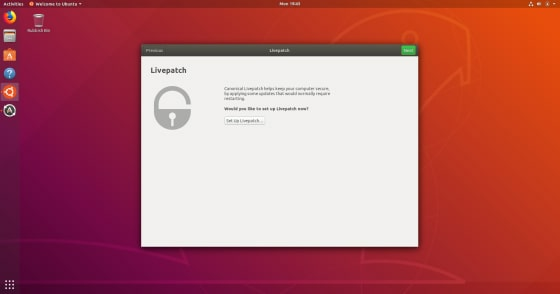 If you didn’t complete the Ubuntu Welcome tool you can still enable LivePatch via Software & Updates. Open Activities and search for Software & Updates. By enabling Location Services your clock can automatically switch to the correct timezone for where you are which is useful for frequent travellers. By enabling automatic error reporting crash reports will be automatically generated and uploaded. By collecting these error reports we can easily spot trends in common problems and make sure we work on getting the most common bugs fixed first. By contributing your crash reports you can help make Ubuntu better for everyone. Crash reports which might have sensitive information in them are automatically marked as private and can only be seen by trusted developers. 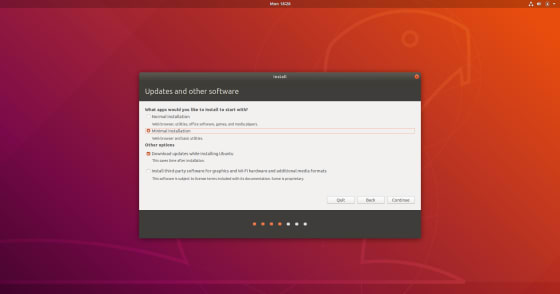 Here are a few highlights of new features in Ubuntu 18.04 LTS, some of these are new in 18.04 LTS and some will be new for users upgrading from 16.04 LTS. With GNOME Characters you can easily find and use colourful emoji icons, or to insert them directly in to your text right click and choose “Insert Emoji”. Reduce eye strain in the evenings by enabling the Night Light feature which tints the screen more towards the red end of the spectrum according to the schedule you set. Open Settings, and click to Devices -> Screen Display. 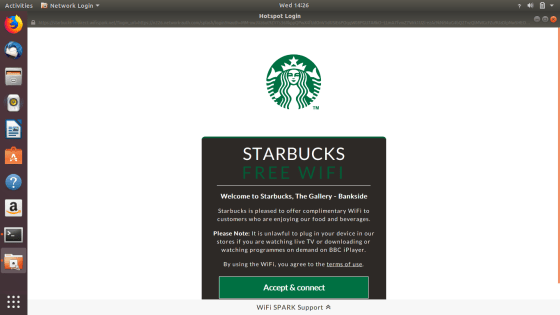 Getting online via free wifi hotspots is easy with captive portal support. You’ll automatically be prompted to login when you connect.